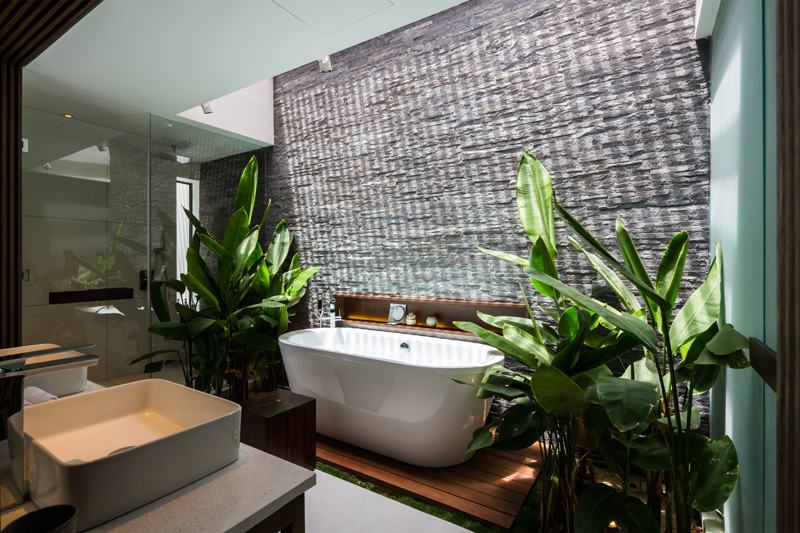 Let’s all take a moment to daydream about the perfect modern party house, where we can float in a rooftop infinity pool overlooking a tropical beach and then retire to our elegantly appointed rooms, each complete with an oversized soaking tub. 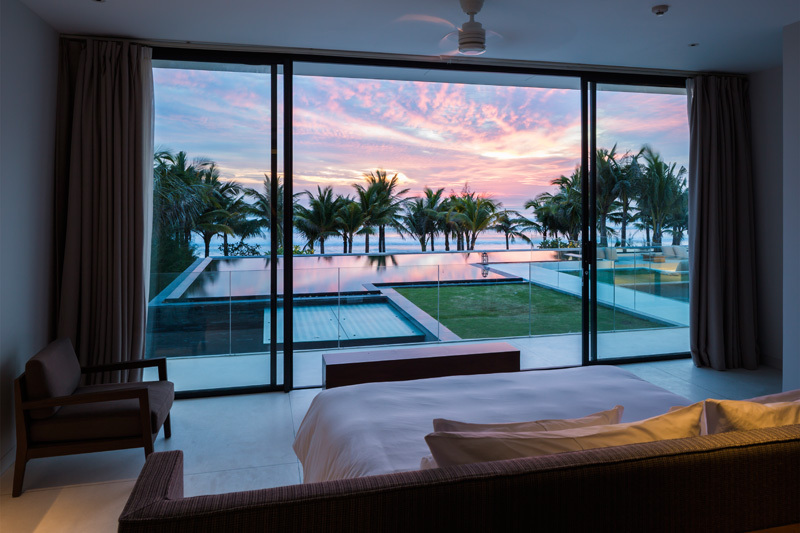 If you’ve got the cash, one of these luxury villas located within walking distance of the ocean in Vietnam can actually be yours, but the rest of us will just have to drool over the photos. 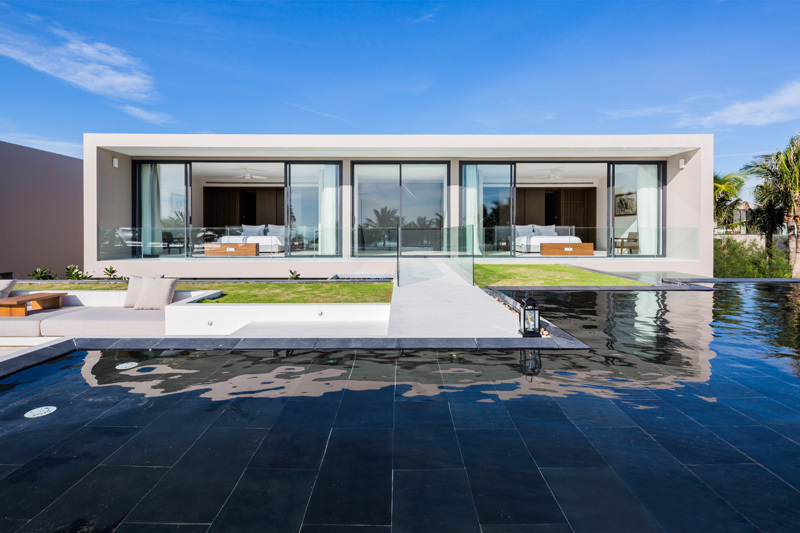 A sunken lounge area is set adjacent to the reflective pool on the grassy roof, with glass balcony railings preserving the view in all directions. 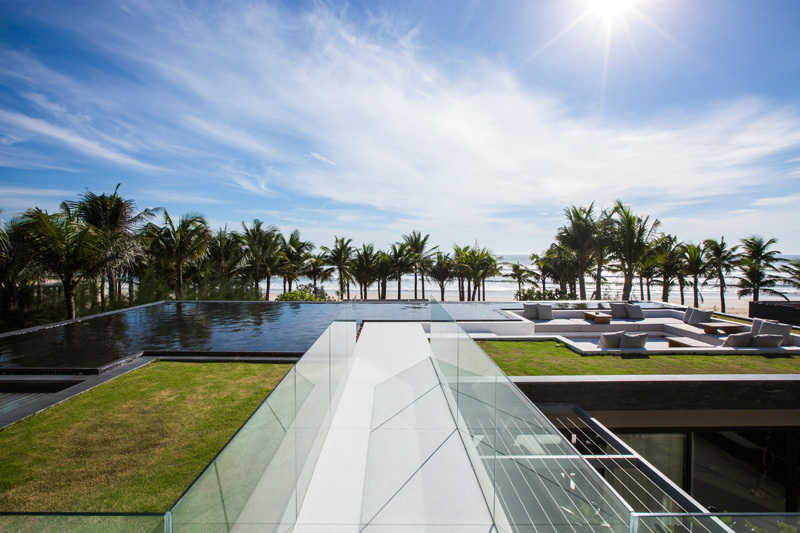 Only the crowns of palm trees planted along the beach interrupt vistas of the Da Nang scenery. Two spacious bedrooms overlook this rooftop recreation space. 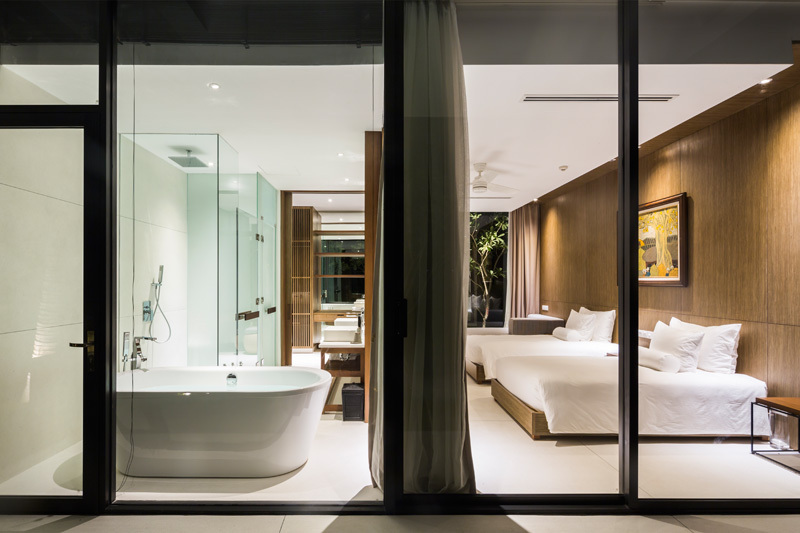 MIA Design Studio contrasts relaxing private spaces with wide-open shared areas, the communal spaces on the ground floor walled with glass. 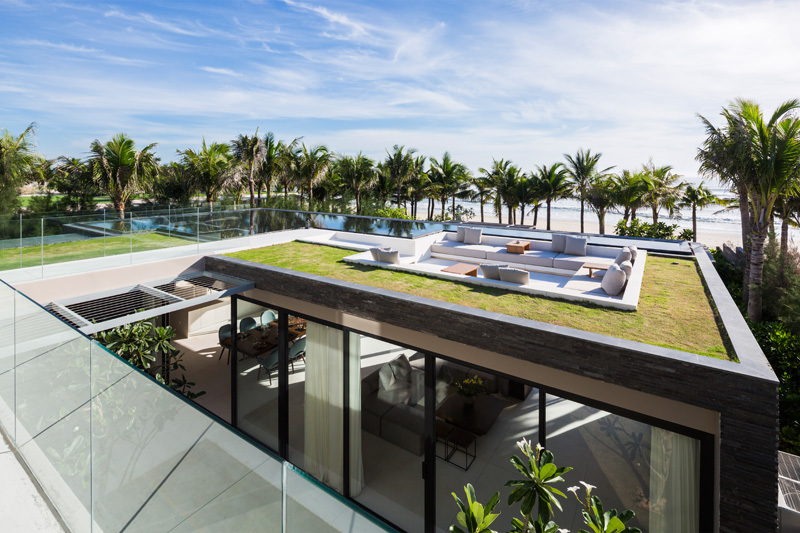 The rooftop pool doubles as a natural cooling device for the whole building, reducing the need for air conditioning, while all those sliding glass doors encourage natural ventilation. 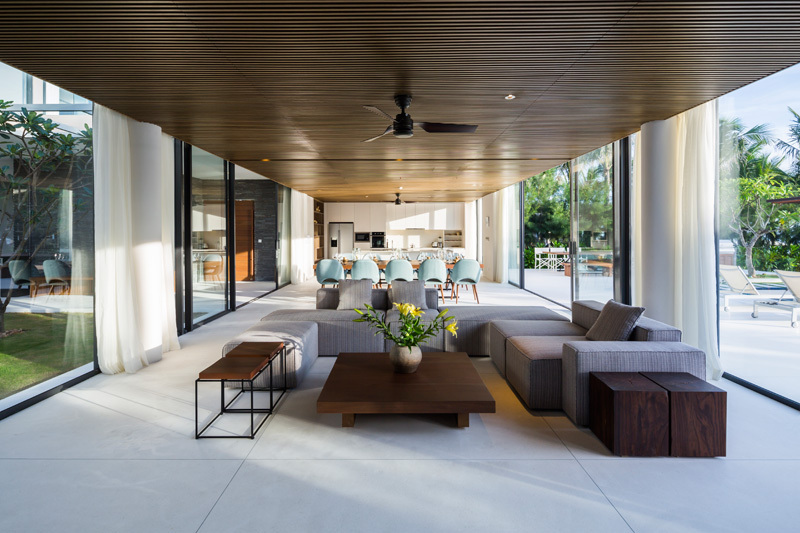 Forty such villas are available as part of the Naman Residence project, which features homes with varying degrees of luxurious details. 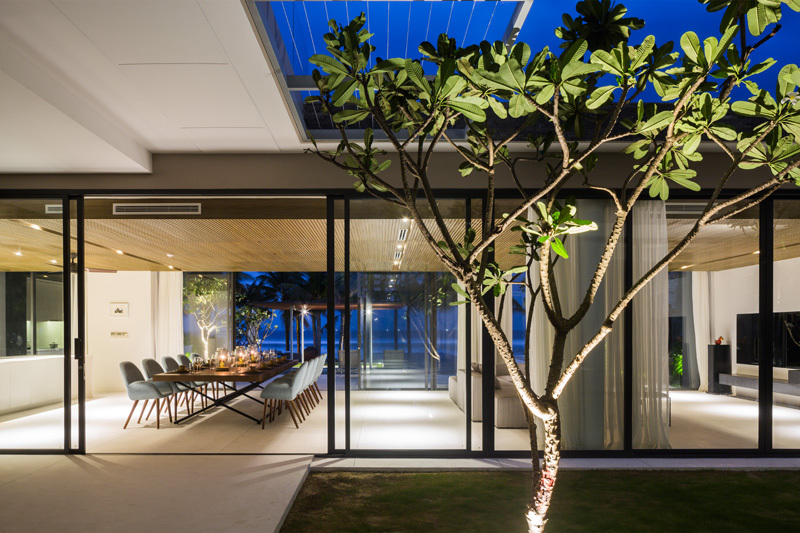 This one is ‘Villa A,’ which integrates the highest standard of living while attempting to retain some sense of a casual beach house vibe.